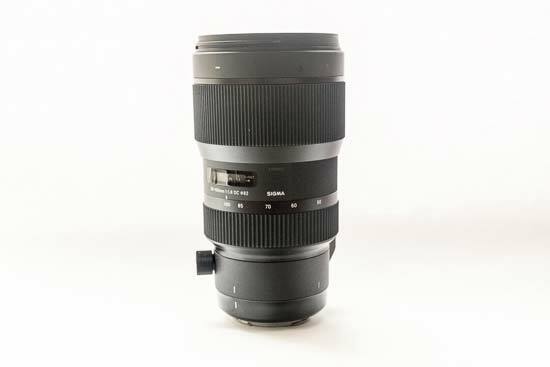 Sigma’s latest “Art” lens, the 50-100mm, offers the widest aperture of any zoom lens on the market, giving you f/1.8 throughout the focal length. At 100mm, it’s also faster than an equivalent prime lens. As it is a “DC” lens, this means it has been designed to be used with crop (APS-C) cameras. 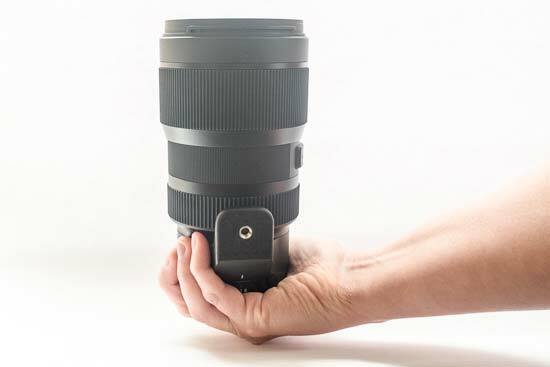 This gives it an equivalent focal length of 80-160mm on a Canon, or 75-150mm on a Nikon or Sony camera. 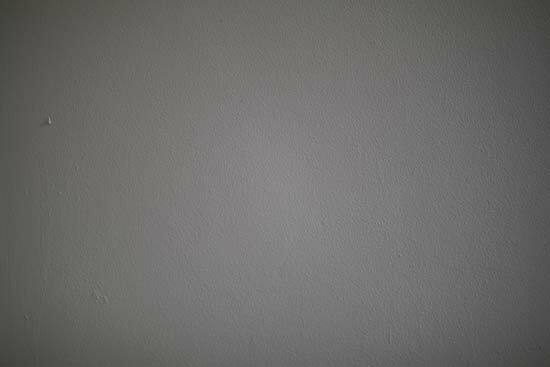 You can mount it to a full-frame camera, but you can expect to see heavy vignetting in the corners of the frame if you do so. 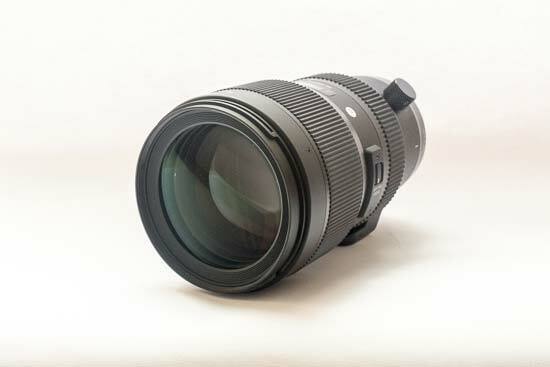 The Sigma 50-100mm F/1.8 DC HSM Art lens is designed to help minimise chromatic aberration, flare and ghosting through its use of FLD and SLD glass, as well as a high-refractive index, and super multi-layer coating. It also features a newly designed Hyper Sonic Motor, and has a redesigned diaphragm unit. Other features include a tripod socket, internal zooming and focusing, and compatibility with the Sigma USB Dock. 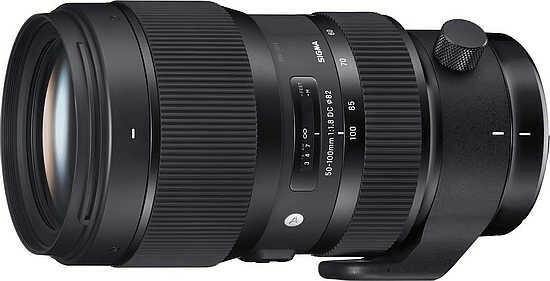 The Sigma 50-100mm F/1.8 DC HSM Art retails for £999.99 / $1099.99. 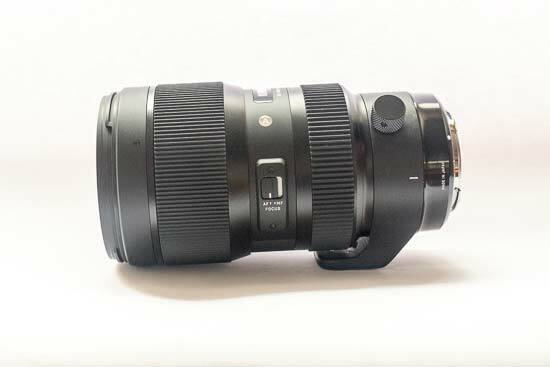 At nearly 1500g, the Sigma 50-100mm F/1.8 DC HSM Art is by no means a lightweight lens. As such, it has a tripod mount directly on the lens itself which you can use to help keep it more stable if you need to. 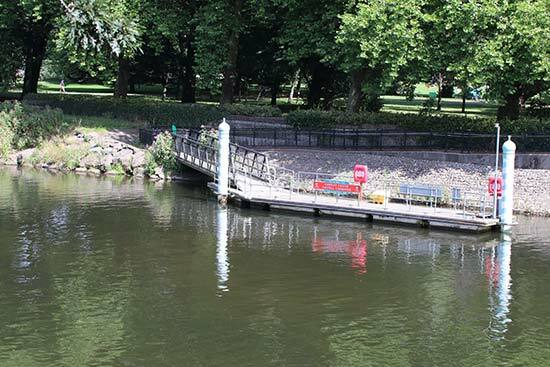 It’s worth noting that the lens itself does not have optical image stabilisation so if you intend to use it in lower light conditions at narrow apertures, you may have to make use of a tripod or monopod to get sharp shots. 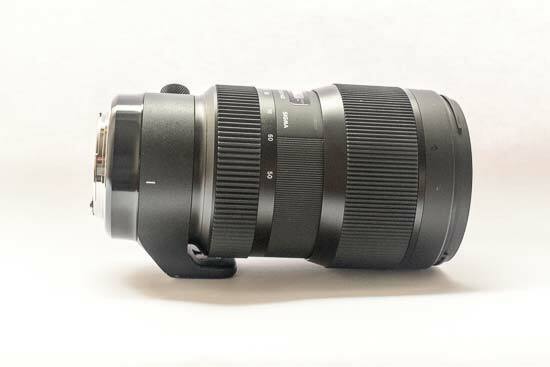 The weight of the Sigma 50-100mm F/1.8 DC HSM Art lens indicates that this is a high quality product, just like the other Art lenses in Sigma’s range. In terms of size, while it is large, it has internal zooming so what you see is what you get - it’s not going to get any bigger when you extend the zoom. It’s just a touch larger than a 100mm prime lens, but bear in mind that this has a wider aperture (f/1.8) compared with an f/2.8 100mm lens. The Sigma 50-100mm F/1.8 DC HSM Art lens is narrower at the mount end, getting wider in the middle, and wider again at the end where you’ll find a very large focusing ring. There’s a lens hood supplied in the box which you can attach by lining up the markings on the lens. 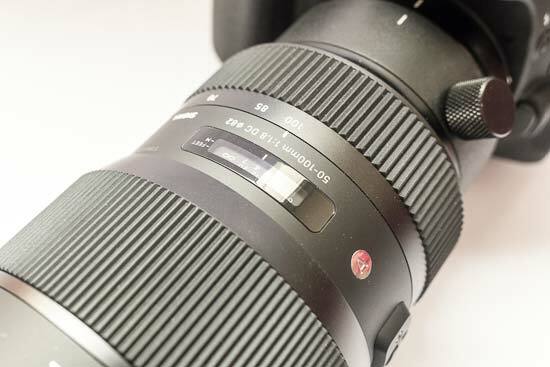 In the middle of the Sigma 50-100mm F/1.8 DC HSM Art lens you’ll find the zoom ring, along with markings which show 50, 60, 70, 85 and 100mm points to help you line it up exactly where you want it - you can also set the lens to points in between these figures if you want to (such as 75mm). A focusing window also displays the focusing distance. Behind the focusing ring is where you’ll find the tripod mount. This has a screw to tighten and release it, plus it has three specific slots which you can use it in - but you can tighten it in other areas in between the slots if you need to. 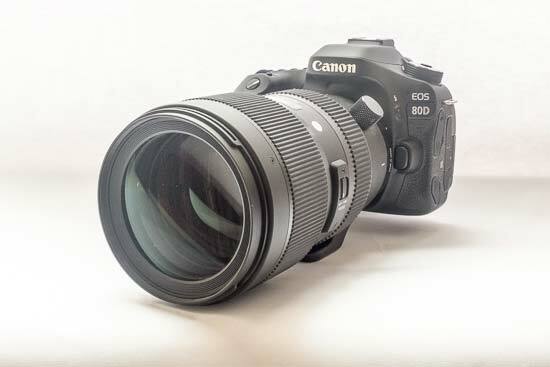 We’ve been using the Sigma 50-100mm F/1.8 DC HSM Art lens with the Canon EOS 80D and it balances quite nicely with the size of the camera - if you had one of Canon’s smaller APS-C cameras it may struggle a little. 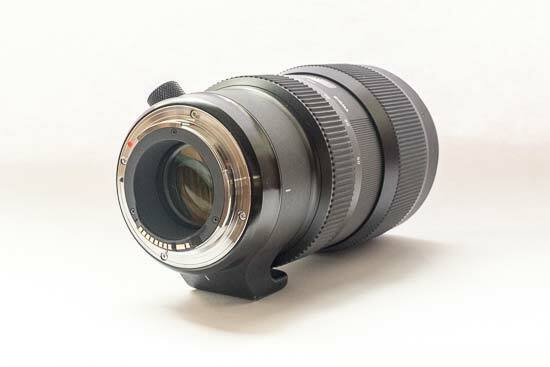 Because the Sigma 50-100mm F/1.8 DC HSM Art lens has internal focusing and zooming, the front element does not move meaning you can attach a filter without worry if you want to. 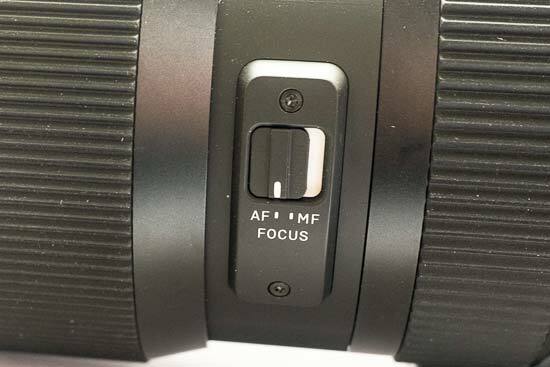 In between the zoom ring and the focusing ring you’ll find a single switch to move between autofocus and manual focus. It’s a relatively stiff switch, so it’s unlikely you’ll accidentally knock it into either position without meaning to. At 50mm you get an angle of view of 31.7 degrees (on the APS-C Sigma SD1 camera). 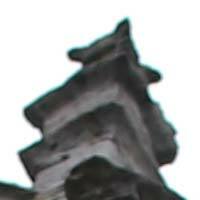 At the full zoom of 100mm, the angle of view is 16.2 degrees. Sigma’s HyperSonic Motor AF works very well to quickly lock onto the target in good light.  In dimmer conditions, it can struggle a little more, but it’s unusual for it to fail at all. You need to be fairly mindful of how close you can focus with this lens - if you were using a normal 50mm lens you may find you can get quite close to the subject, but due to the physically larger size of the lens, even when trying to shoot at 50mm, you may need to step back to acquire focus. Manual focusing is smooth and quick thanks to the large focusing ring and you get the precision from the focusing window. 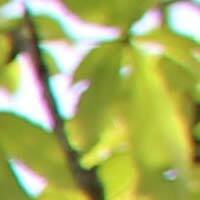 The Sigma 50-100mm F/1.8 DC HSM Art is very resistant to fringing and aberrations. 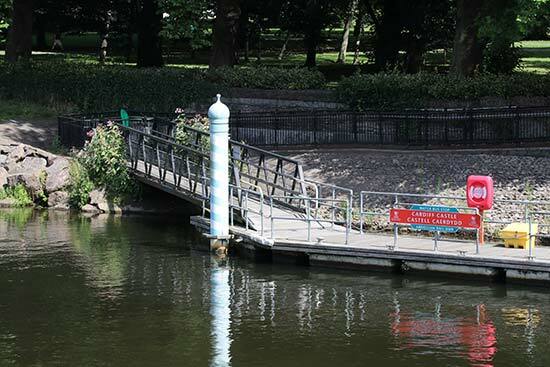 If you examine at 100% a subject which is very high contrast, you may see some examples of it, but it’s not something you’ll see at normal printing sizes - and certainly not for most ordinary subjects. Shooting at 50mm wide open at f/1.8 we can see that there’s a fair amount of light drop off, this drops to a moderate amount at f/2.0, but is almost eliminated by f/2.8 - a good performance considering f/2.8 is still a wide aperture. It’s a similar story at 70mm. 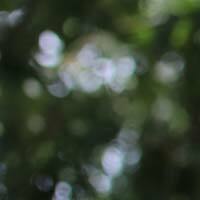 Here shooting at f/1.8 also produces a high degree of light drop off, falling to a moderate amount at f/2.0. 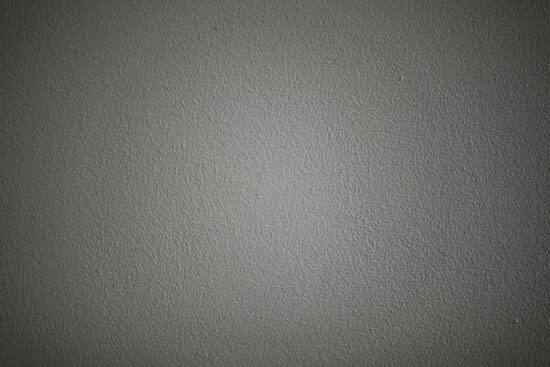 At f/2.8 there’s a little more light drop off visible, but by f/4.0 it has completely disappeared. At the full 100mm focal length, light drop off again appears at wide open at f/1.8, a little less noticeable at f/2.0, less so again at f/2.8, and completely gone by f/4.0. 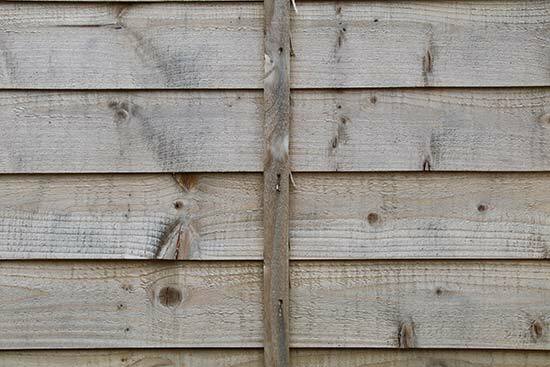 Distortion is extremely minimal at all focal lengths. 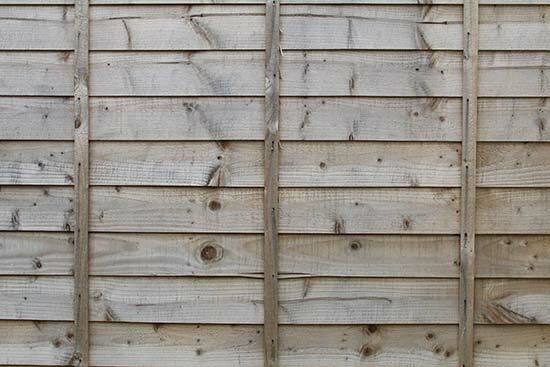 Shooting a geometric subject reveals that barely any distortion is noticeable, suggesting that it will be even less noticeable shooting normal subjects. The Sigma 50-100mm F/1.8 DC HSM Art isn't claimed to be a macro lens, but it delivers good performance nonetheless.  It has a minimum focusing distance of 95cm / 37.4in. and a maximum magnification ratio of 1:6.7. The following example demonstrates how close you can get to your subject, in this case a Compact Flash memory card. 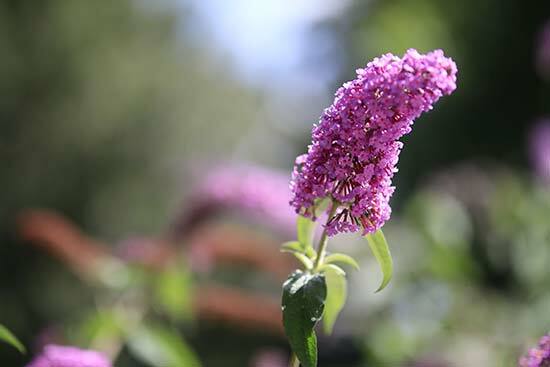 The 9-blade rounded diaphragm of the Sigma 50-100mm F/1.8 DC HSM Art lens produces very attractive background blur, something which is particularly noticeable in a lens which shoots very wide apertures such as this one.  Out of focus backgrounds are very easy to create, even though you’ll be using the lens with an APS-C sensor. Quality of bokeh is something which is quite subjective, so take a look at the crops to see for yourself what you think of the out of focus areas of an image.